The Toronto housing bubble just got larger. Condo prices shot up by over 14% during the first two weeks of November. Detached prices in the city were up by 11% according to the local real estate board. 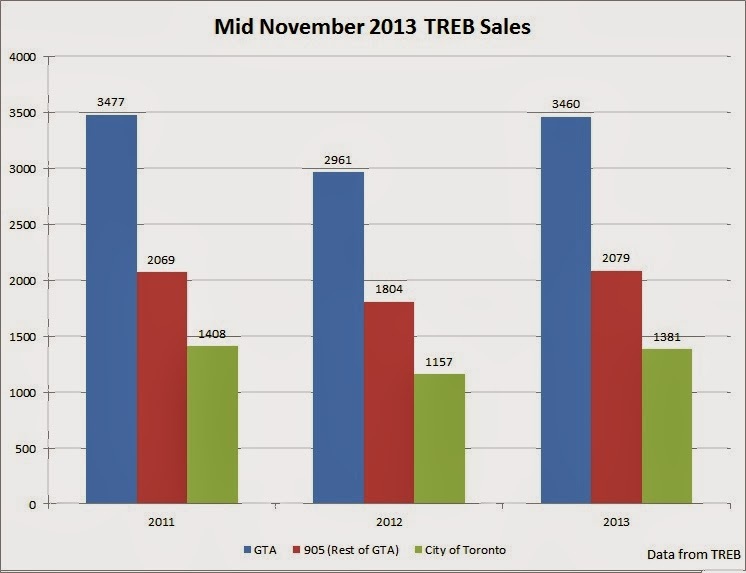 Sales in the Greater Toronto Area were up by 16.5% during the first two weeks of November as compared to a year ago. Sales were down by over 7% as compared to the first two weeks of Nov 2011. 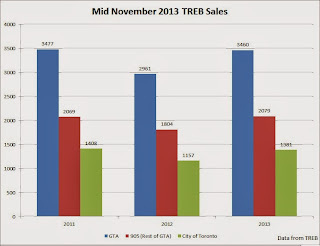 Note TREB reported that sales were up by 21% while according to my calculations sales went up by only 16.5%. You can read the explanation for this discrepancy here. 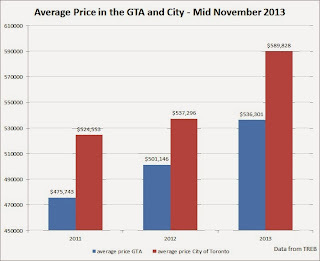 Average home price in the GTA was up by 10% and by 15% in the City of Toronto on a year over year basis. While prices stagnated in 2012 at this time, Toronto's housing market has gotten hot again. 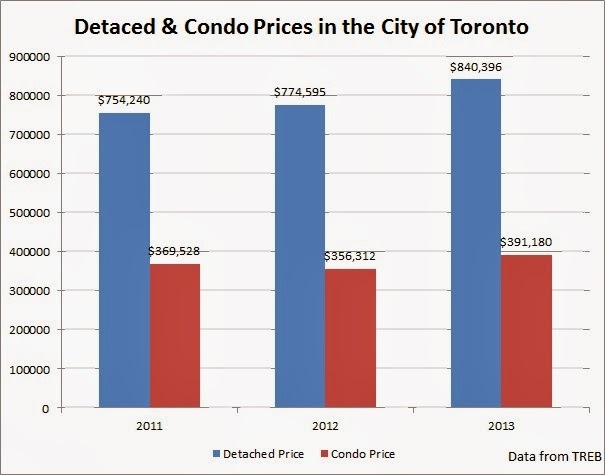 Condo prices were up by 14% while detached homes went up by 11%. 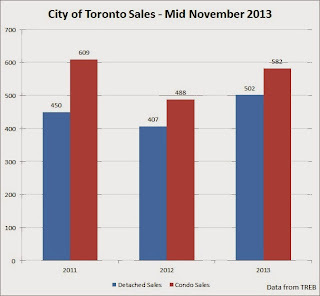 Sales of detached homes were up by 37% compared to mid-November 2013. Sales were down 4% compared to 2011. Similarly condo sales were up by 17% compared to a year ago, but down 11% compared to two years ago. 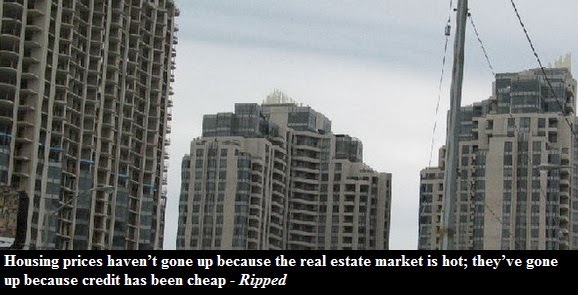 Just because sales bounced back and prices are moving doesn't mean that there is no housing bubble in Toronto or that the adjustment that the Bank of Canada warned about has occurred. In my view, Torontonians ignored all the warnings about how overpriced the real estate is in this city and continue to be in la-la land. I think if this trend continues, there's a good chance that Flaherty will intervene again.